One of the most powerful Electric units was the Class 430 '4-REP. Rated at 3300 horse power (the same as a 'Deltic') these units worked with Class 491 '4-TC' trailer units between London Waterloo and Bournemouth; a (or the) 4-TC would be detached at Bournemouth and hauled to Weymouth by a Class 33/1 locomotive. The current units in use on this route have the traction equipment from the 4-REPs. On 3rd August 1984 3006 and 434 are seen at Southampton with the 10:34 Weymouth - London Waterloo. 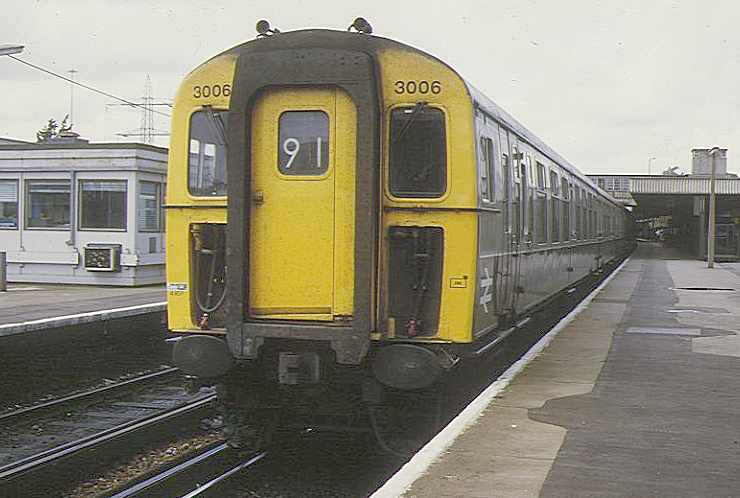 Following on from the Class 303 electric units in 1967 were the AEI powered Class 311. 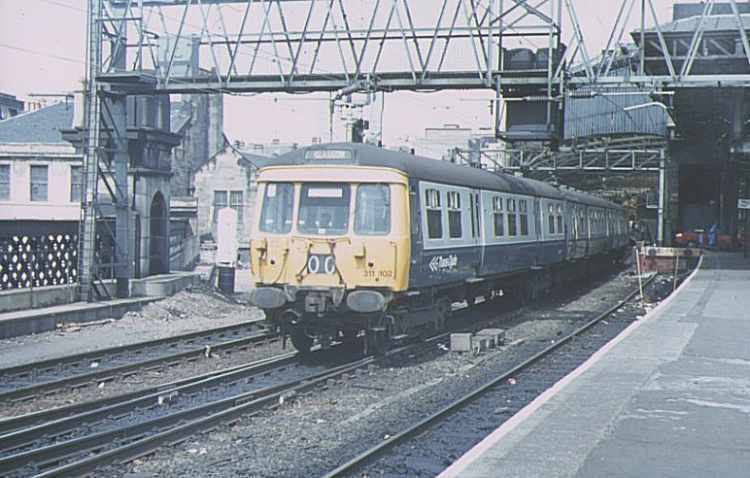 Here 311102 arrives at Glasgow Central during 1981. 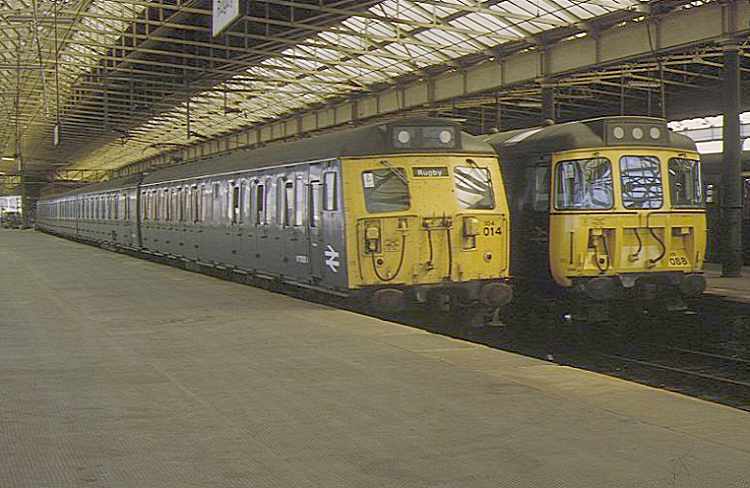 Class 304 and 310 units were used on the southern section of the West Coast Main Line. 304014 and 310088 are seen at Rugby on 14th August 1983.